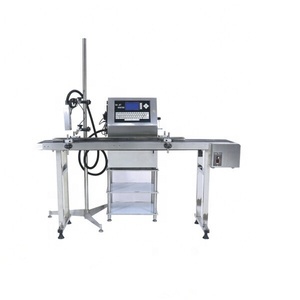 Main Products More related products click here--&gt;&gt; Features and Advantages: Sop800 series touch screen ink-jet printer launched this time adopts foreign advanced 32-bit ARM embedded structure, and has made great improvements in man-machine communication and intelligent operations. As for the data protection are used for multi-aspect innovations and design optimization; as for the ink circuit, four-pump-in -one design of pump advanced in the industry is adopted. The ink jet printer has powerful software editing function and high stability, and has brought a more perfect identification experience to users in the product performance, application and other aspects. Inkjet Printer DESCRIPTION: Inkjet printer ( including printer, printing head stand,excluding the printer table ) Model No----------------K68S Voltage------96-260v Power--------50hz-60hz Technical Specifications: 1. Printing Line: 1-4lines 2.Printing Speed:4m/s( 5*7 single line) 3. Printing Mode: Auto, Photocell, Encoder, Length Counter 4.Printing Times: Once or many times after sense once (photocell only) 5.Matrix:4*7 5*5 5*7 7*9 6*12 8*16 9*16 12*16 11*24 16*28 6.Chinese: 12*12 16*16 24*24 7.Editing: Reverse, Inverse, Combine, Multiple Fonts, Bold (within 36dots) 8.Image: Any Image within 36dots 9.USB Port: Down load /save text or image 10.Capability: 200 pieces of message 11.Length: 5000 dots per message 12.Consumption: 500ML produces 60 million dots 13.Length Counting: Mark after any length interval 14.Auto cleaning system 15.Surface Anti-Static Cleaner 16.Power Supply: AC220V&plusmn;20% 50Hz 150VA 17.Umbilical Cord: 2.0m( or make to order) Contact us:- Feel free to call or email us with any questions you may have regarding your order, product, application, or any technical question. ALL PRODUCTS AND MODELS ARE AVAILABLE: Kind Regards For Sol Pack Systems Rattan deep Singh - Export Manager- Hand Phone # 91 98720-45101, 93178-04252 Skype: rattan. solpack Whatsapp /: 0091-9872045101 Trust us and choose us, We are always trying to do our best and aims to provide our customers with reasonable price and the best service!!! Industry Ink Jet Printer introductions : this industrial ink jet printer adopts advanced international print technique, based on successfully using the research result of printer for many years, it makes completed optimized innovation design for the stability control system of print equipment, circulation system of air channel and ink operation system of human machine interface and fuses with unique adhesive control technique, micro solenoid strong saving and more convenient operation and maintenance. The products widely used for non-touch printer for drink, food, medicine, chemical, industry, architectural, material, electronic products. 2.Continuous printing, delayed printing, photo printing, printing synchronization 3.Automatically print the date, time, batch number, frequency, serial number and so on; 4. Up to 9 doubly thick coefficient 5. 100 pieces of information data storage / output 6. The real automatic and random nozzle cleaning function, Easy operation Pinyin input method; 8.Special symbols of instant editing functions,Customization software and hardware,Controling area network can achieve resource share; Chief specifications and main parameters. 25.4mm Use of industria handheld inkjet printer 3D Printer Machine. Brand DEM-JET-C3 6 channels a3 size digital printing machine flatbed printer can be used for print logo, letter, picture on almost any flat material such as: 1.Food (cake, chocolate, macarons, marshmallow, lollipop, cookies, bread, biscuit and etc. ) ----- textile ink 3.Others (mug, wood, metal, glass, acrylic, leather, phone case, CD, stone, ceramic, tile, pvc, tpu, pen and etc. cake printer chocolate printer biscuit printer edible printer It uses specialized ink, directly print good effect on product surface - ink is sprayed on material and fixed automatically by softwares. 4.There is USB interface and can be connected with computer to transfer symbols and logos. 5, Long Lasting Battery : 10 hours of continuous printing with more than 200,000 characters. We specialize in CIJ printer , Laser Marking Machines and TIJ printers and etc. With improved design of printer head, it is convenient to install and can print 1-3 lines on the surface of irregular products. Easy operation, can achieve best printing quality, and working stably. It is the ultimate goal assiduously sought by Jutao to provide customers with products of the best quality. ,Ltd registered in Hong Kong and working for solutions of Flatbed Inkjet Printing,We focus on digital and inkjet printing for over 10 years,Our main products including Multifunction Printer,Coffee Printer,UV Printer,Card Printer,Customized Gift Printer,T-shirt and garments Printer,Food Printer,Hot stamping Printer,3D Printer and Special Printer. Not only provide high quality and best price printer,but also we can provide you best service,usually client's problem will be solved within 4 hours at our working time. We will keep moving forward, produce stable quality printer with best price for clients,Welcome cooperation and inquiry from all over the world. BYC digital flatbed printing machine adopts the most advanced digital printing technologies. If you strictly follow our operation instruction, the failure rate of the printer is very low . If there is a failure of the printer parts, we will send you the new parts. Main Prouduct: Toner Cartridge, Ink Cartridge,CISS, PCR, OPC and other printer accessories. 2.We have online QC staff and pre-test to ensure that all our products are defect-free. ) from leading brand Warranty 24 months / 1:1 replacement FOR FREE . 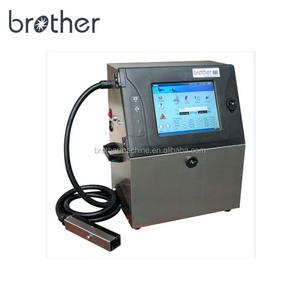 Alibaba.com offers 975 brother jet printer products. About 5% of these are printing inks, 4% are toner cartridges, and 3% are inkjet printers. 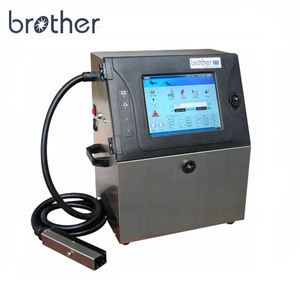 A wide variety of brother jet printer options are available to you, such as inkjet printer, toner cartridge, and ink cartridge. You can also choose from cloths printer, paper printer, and label printer. As well as from multicolor, single color. And whether brother jet printer is automatic, or semi-automatic. 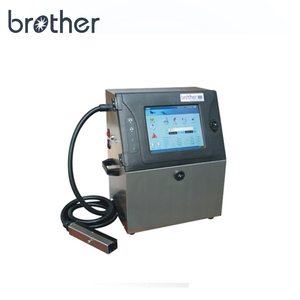 There are 968 brother jet printer suppliers, mainly located in Asia. The top supplying countries are China (Mainland), India, and Poland, which supply 99%, 1%, and 1% of brother jet printer respectively. 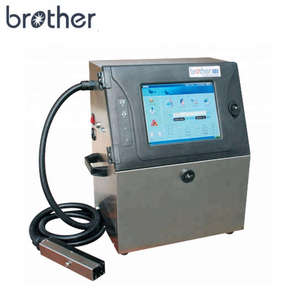 Brother jet printer products are most popular in North America, Southeast Asia, and South Asia. You can ensure product safety by selecting from certified suppliers, including 59 with ISO9001, 44 with Other, and 40 with ISO14001 certification.